My twins were known as twins A and B for many weeks after their birth. We were not prepared with names. We were not prepared for the journey that followed, or really anything. 25 weeks, 5 days to be exact. 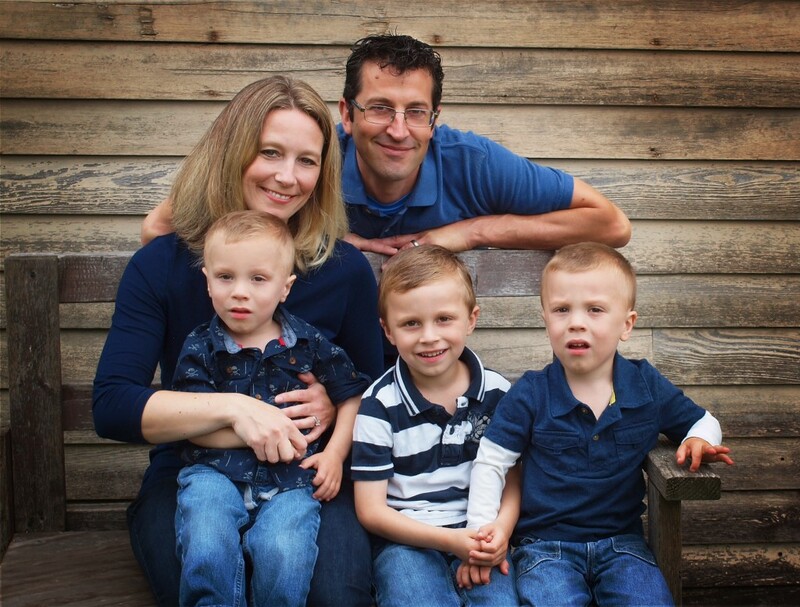 Before Micro Preemie Monday, I’d like to share my pregnancy story with you. I know many of you have probably read it, but I share it to give other women hope. A high-risk pregnancy is hard enough. I never want another woman to feel completely alone in their struggle. I will never forget my first doctor’s appointment in December of 2011. I was about 8 weeks pregnant, and it was my first time at a new OB practice. I didn’t know that not only would I get to hear the heartbeat, but I would get to see a picture too. She wheeled in a tiny ultrasound machine, squeezed some cold gel on my tummy, and directed me to the screen. I was so nervous about hearing and seeing the heartbeat, I didn’t really understand what she was showing me. She asked me, “Do you see that?” I did. “And do you see that?” she asked again. I was confused. “There are 2 heart beats,” she said. Twins! Tears just ran down my cheeks. I was so shocked and happy. I was also all alone. My mom had driven me to the appointment, but she was in the waiting room. I didn’t even have my husband come with, since this was our second pregnancy. I was 35 at the time, and since she could tell the babies shared a placenta, she said I would have to see a high risk specialist. I was too excited to really care what that meant. My excitement, however, turned into extreme sickness. It certainly didn’t just happen in the morning. I had to leave my job, and ask my parents to help me take care of my two-year old. I couldn’t ask anyone friends for help because we didn’t tell anyone I was pregnant. I was very superstitious about not telling anyone until after the first trimester was over. I figured we’d share our news after our 12 week ultrasound with the Maternal Fetal specialist, but we got bad news. I could already tell something was wrong, but the doctor took us into the consulting room to explain. The nuchal fold on one of the babies was enlarged. Since they were sharing a placenta, which made them identical, this enlargement could have indicated a chromosomal abnormality in both babies. I was so scared to go get the testing done, but we decided we needed to know. We were rushed to another hospital for a procedure called a CVS (where they take a needle and get a sample from the placenta) to find out what we were dealing with. We then cried and waited for almost 2 weeks. The results were normal! We all breathed a sigh of relief. I told my brother we were expecting, and then called to make another appointment with our Maternal Fetal Specialist. I had been so upset at the 12 week appointment; I didn’t pay attention to anything else. I wanted to learn more about what to expect being pregnant with twins! At the next ultrasound, it was discovered the babies were over 20% different in size. Again, we were taken into the consulting room to discuss what this meant. I already hated that room. The doctor explained that when twins share a placenta, this is means they either have an unequal placental share or TTTS (twin to twin transfusion syndrome.) The doctor told us that both were very dangerous, and the survival rates of both babies were not very encouraging. He said we could end the pregnancy, selectively reduce, or just wait and see how it progressed. I was horrified at the first two options, and pretty upset they were even mentioned. As soon as I got home, I did a frantic search to find anything about TTTS and unequal placental share. I was lucky enough to come across the Twin to Twin Transfusion Syndrome Foundation, and speak directly with Mary, the founder. She calmed some of my fears and helped me come up with a plan. I needed to be informed about both conditions so I could ask the doctors questions, and find a specialist that was an expert in this area. She also connected me to another mother who had a similar pregnancy. These two women provided me with such hope and comfort; I don’t know how I would have made it through without them. Armed with Mary’s list of questions about TTTS, I went to my next Ultrasound. The fluid level in each baby’s sac was measured, and it was decided I needed to see the expert, Dr. Julian De Lia. I could not believe my luck. The pioneer of TTTS laser surgery was in our hometown. I was very scared for my appointment, but I knew I would be in the best place possible. Dr. De Lia had called me prior to our meeting to find out everything about me and my family. He also instructed me to start drinking high protein shakes slowly 3 times a day. I was a little bit ahead of him and had already started drinking Ensure, since I could barely keep down any other kind of food. Even though Dr. De Lia was technically on sabbatical, he came and met me for my first ultrasound at this new hospital. Right away he put me at ease, and the other doctor, Dr. Worthington, reminded me of my great Uncle Hank, which made me feel comfortable. Both of my babies had enough fluid in their sacs, so it wasn’t TTTS yet, meaning they wouldn’t be doing any type of surgery yet. They also look at how the blood is flowing, which is called a Doppler reading, and that was concerning. The smaller baby’s blood would flow, stop, and sometime flow back. This was called intermittent absent and reverse flow. If the flow were to totally reverse, it would mean he had run out of placenta and would have to be delivered. Babies aren’t considered viable until 24 weeks. I was only 16 weeks at the time. Since I was not a candidate for surgery yet, I was sent back to my original doctor. He took a look at the Doppler reading in my little baby, and told me something I would never forget. He said that he didn’t believe my smaller baby would make it to 24 weeks. He said that if he did make it, he would not weigh enough to live, or he would be severely disabled. If he passed in the womb, he could possibly harm or kill the other baby. He suggested that I fly out-of-state and have that baby’s cord clamped, thus ending his life. This would save the bigger baby. I was in shock and just devastated. I have never cried so hard in my life. Through my sobs, I called Dr. De Lia. We decided I would change my care to him and his group for the rest of my pregnancy. I could not choose to save one baby over the other, and I needed a doctor that would support my decision. Dr. De Lia was that doctor. Every week, and sometimes twice a week, I would head to the hospital for an ultrasound. This was the only place I would go, as I was on bed rest. I was still forcing myself to drink three high protein shakes a day, plus try to get as much protein from other foods as possible. I was nauseous, and food had absolutely no appeal, but I ate for my babies. It was one of the only things I could do. Bed rest was extremely hard both physically and mentally. I would lay on the couch at my Mom’s house unable to take care of my other child. I was completely dependent on my parents and my husband. Since I couldn’t really do anything but watch TV or go on the computer, I sat all day worrying about my babies and how this was affecting everyone in my life. It was taking an emotional toll on everyone I loved. By week 21, I could start to feel them moving around. In some ways it was good, in some ways it was terrifying. I was always afraid I could only feel one baby moving, and that we would show up at the next ultrasound to only one heartbeat. By some miracle, I made it to 24 weeks. At that appointment, I asked the doctor if I should stay in the hospital for constant monitoring. He hesitated, but then agreed. Even though I had been on bed rest at home, the hospital was even harder. I missed my 2-year-old terribly and also felt so guilty for everyone else having to take care of him. I had never been away from my son for even a night before this experience. I was also completely stressed about the babies. They would hook up monitors to find the heartbeats three times a day at the beginning. Because the babies were so small, it was hard to find them, and even once they did, they rarely stayed still. One night a nurse sat pressing the monitors on my belly for over three hours. Eventually, they went to constant monitoring, which was so uncomfortable, but I wanted to do whatever I could to save both my babies. Just a little over a week later, on the morning of Friday, May 4th, around 5:45, I was alone in my room. I started to drift to sleep, but I heard the slow beeping of the monitor. Even though the monitor also monitored my heart, I knew it was too slow to be me. 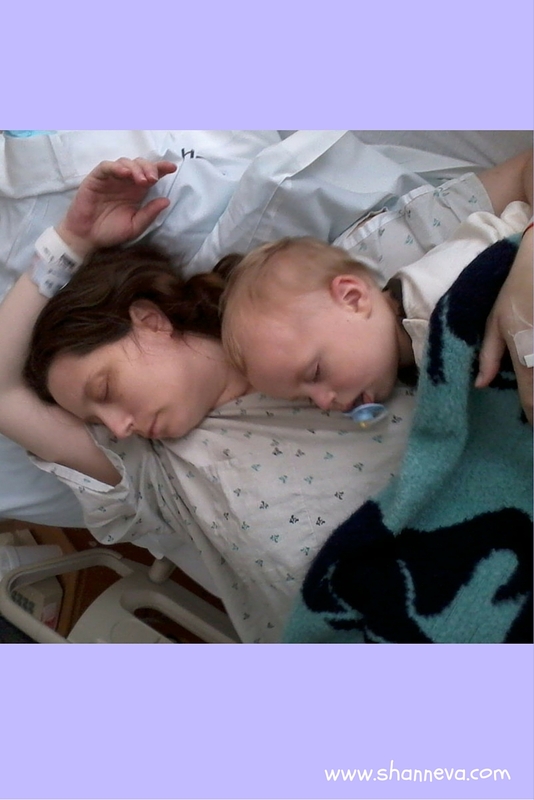 I called the nurses, and sure enough, my small baby’s heart was decelerating. It had been beating very slowly for 5 minutes, indicating he was in distress. Three nurses rushed in, followed by the Doctor on call. They turned me to my side and gave me oxygen. The Doctor brought the ultrasound machine and asked me, “Are you OK with letting me take the babies out if I see them in distress?” I didn’t hesitate. He looked quickly at the ultrasound and shouted to book the Operating Room. I was so scared. I’d never had major surgery before, and had a natural birth the first time. I wanted to call my husband and mom, but there was no time. They rushed me into the room, cut off my clothes, and rolled me onto the table. I reminded the nurse to tell everyone that the babies shared a placenta, so they may need blood volume after delivery. Dr. DeLia, my doctor, had reminded me to do that because in this kind of pregnancy complications can arise at the last-minute. After the nurse told everyone, I remember the anesthesiologist telling everyone to be quiet because I wasn’t out yet. I remember praying that I wouldn’t feel them cut me open and that my babies would both be alive. Praying that I would get to meet both Twins A and B. The next thing I remember is coughing and being rolled into the recovery room. My mom was there, and then my husband was there shortly. The nurse told me both babies, twins A and B, were OK and in the NICU. After a few minutes, they were able to roll me into the NICU to see them. I remember my mom being teary eyed and saying how perfect they were. My dad and brother also came and got to see the boys. I just felt a great relief that they were both ok and that the pregnancy was finally over. My twin boys, twins A and B, were born by emergency c-section at 9:49am on Friday, May 4th, 2012. At just 25 weeks and 5 days, Baby A weighed 1 lb and 7.5 oz and Baby B weighed 2 lbs and 2 oz. Upon examination of the placenta, they found a 90/10 split with 4 connections between the babies. They also found that my little guy’s cord was just hanging into the membrane. It was lucky they delivered when they did. 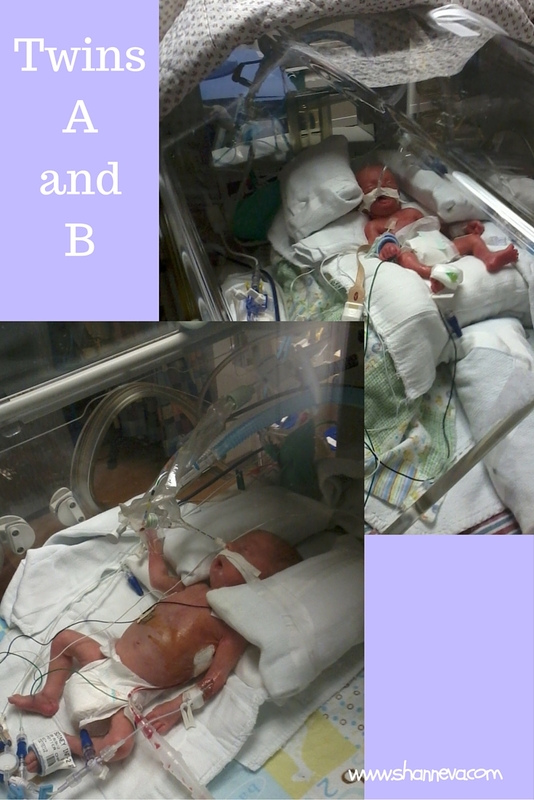 My boys, twins A and B, spent 91 and 93 days fighting hard in the NICU. They went through infections, surgeries, learning how to breathe, learning how to eat, all in between just fighting to stay alive. They were poked, prodded, and made to live in an artificial womb. I am forever grateful to modern medicine, but it was certainly hard to see them like that. We walk, and will continue to March for Babies every year until no other family has to struggle like this. Together we can find solutions to premature birth. I will also continue to share my story, and share others’ stories of complicated pregnancies and premature birth. I never want a woman to feel alone. 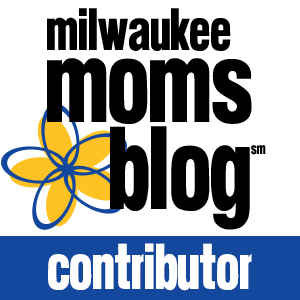 Please consider walking with us, walking in your own state, or making a donation on behalf of my twins A and B, now known as Big C and Little P here on the blog. Please click HERE to sign up or donate or just find out more info about the March of Dimes. Thank you! Will you share this story to bring hope to other women who may be experiencing a complicated pregnancy? Just click any of the sharing icons below or on the left-side. 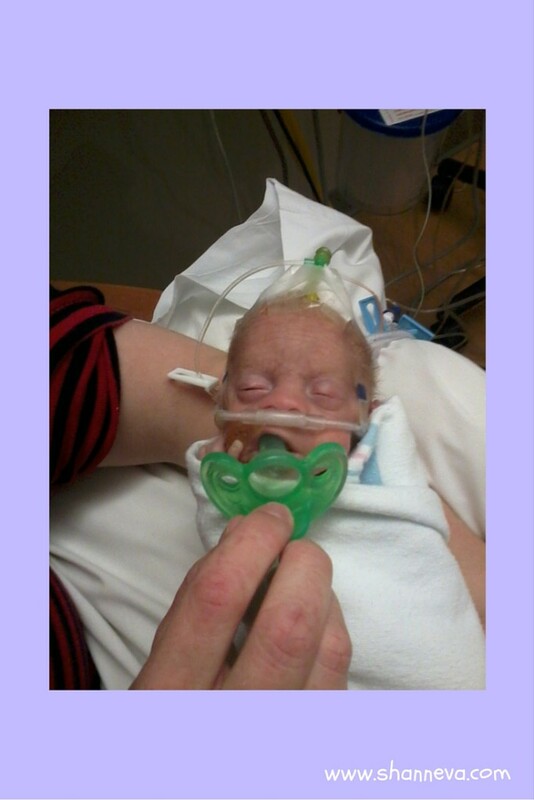 Thank you for your help in the fight against premature birth. Oh, my gosh, what a rollercoaster. You are a strong, brave mama. Good for you for fighting for your babies. Thanks for sharing your amazing story, and for linking up at the Manic Mondays blog hop! Shared. You are a true inspiration. Your story is so inspiring! Your twins are beautiful! One of my NICU girlfriends had TTS twin boys – that is so hard! – I’m glad to see yours doing so well!! It’s so nice to see these stories that have happy endings. 🙂 You have a beautiful family. Made me cry! Brought back my memories of my babies that were also referred as A and B. The whole delivery was the same exact for me! We will be marching next month as well! I’m so happy that you’ll be marching too! Oh my goodness, what a journey! Such strength in your family. Thank you for sharing your story! WOW!!! How amazing! They look perfect! You are so strong for going through that! You and your husband, the babies and son have all been through so much. I think it is great you share your experience so others know they can get through their difficult time as well. This is amazing – you are so strong. So inspiring! My mother had twins – actually a surprise twin birth and they were born at 29 weeks. They are 17 years old now and thriving! 🙂 I’m glad they are doing well! Wow. That’s amazing! I’m glad your mother’s twins are doing well! I work with pregnant women at my day job. It amazes me how early many twins arrive. Modern medicine really can perform miracles. What a moving story! I can’t even imagine how hard that must have been but you must be so proud of how they’ve progressed since! What a worthy cause. Thanks for bringing it to my attention, I’ll certainly be looking into it. Coming back to read this over more slowly. I love that you shared something so personal. Thank you for your authenticity. Such an inspiring story! You were so strong during all of this Shann. I am so glad that both of your boys made it and are doing well. I will have to see when they have a walk here for the March Of Dimes. I’d love to walk in it! Loved this touching post. I could feel my heart up in my throat and you brought tears to my eyes. what an experience to go through.